Rational choice theory (RCT) likely finds its modern home in an article written by the Nobel-Prize-winning economist Gary Becker (1968). The position of RCT is that criminal behavior is no different from noncriminal behavior in that it is conduct that persons intentionally choose to undertake (i.e., they are not compelled or forced to do crime), and the reason that they choose to commit crime is that they think it will be more rewarding and less costly for them than noncriminal behavior. There are many theories about what causes people to begin to commit, continue to commit, and desist from committing crimes (Kubrin, Stucky, & Krohn, 2009). Some of these theories assert that crime is due to a collection of personality traits that incline a person to commit crimes (Wilson & Herrnstein, 1985); some scholars argue that crime occurs when people are led by their culture to want something, such as monetary success, but are denied access to the means to achieve these things (Agnew, 1992); and still others claim that crime occurs when people get socialized into cultures, subcultures, or groups that either actively promote or at least openly tolerate criminal behavior (Nisbett & Cohen, 1996). A deterrence, or rational choice theory of crime (let’s call it RCT), is none of these things, and because deterrence theory can be considered a subtype of RCT, this research paper’s discussion will mostly focus on the latter. Deterrence can be thought of as a subtype of RCT because they share a great deal of common conceptual ground, with RCT being a more general theory than deterrence. Deterrence theory argues that criminal acts are inhibited or deterred because of the punishment that can be associated with crime (Andenaes, 1974; Zimring & Hawkins, 1973). For example, when someone thinks about committing a crime but refrains from doing so because he fears that he might get arrested, that person is said to be deterred by the fear of a sanction or penalty, in this case, an arrest. This is an example of general deterrence. General deterrence occurs when someone who has not yet been punished refrains from committing a crime because of the punishment he or she may receive should he or she get caught (Andenaes, 1974). In this case, what deters the would-be offender from committing crime is the fear of a formal or legal punishment. When someone just released from prison contemplates committing another crime but refrains from doing so because she fears going back to prison if she is arrested and convicted, she too is said to be deterred by the fear of a sanction; in this case, the sanction is imprisonment, which is another form of formal or legal punishment. This is an example of what is called specific deterrence (Andenaes, 1974). Specific deterrence occurs when a person who has just been punished refrains from committing a crime because he or she fears another dose of punishment. In general deterrence, it is the threat of legal punishment that inhibits criminal offending among people who have not yet been punished, whereas in specific deterrence the inhibiting factor among those who have been punished is the threat of being punished again. Notice that any penalty, such as imprisonment, can act as both a general deterrent when it leads the public to conform because of the threat of prison should they commit a crime and as a specific deterrent when it deters an inmate just released from prison from committing another crime. Deterrence theory was originally developed in the 18th century by the legal/moral philosophers Jeremy Bentham and Cesare Beccaria, who conceived of it in terms of the threat of formal legal punishment—the sanctions or penalties that are applied by a state or some legal authority. Within the past 25 years, however, deterrence theory has been expanded to also include nonlegal types of sanction threats, such as the threat of social censure by others should one commit crime (i.e., the fear of embarrassment) or the threat of self-imposed punishment with feelings of guilt and shame (Anderson, Chiricos, & Waldo, 1977; Grasmick & Bursik 1990; Grasmick, Bursik, & Arneklev, 1993). If I refrain from committing crime because I think that others close to me will disapprove and reject me, and that fear keeps me from committing crimes, then I am deterred, but by informal sanction threats, not by formal sanction threats. Modern deterrence theory now considers formal (legal punishments, e.g., arrest, conviction, imprisonment) and informal (social or self-censure) sanction threats as part of the theory. Rational choice theory is much more broad and general than deterrence theory because it includes many other factors besides the risk of formal and informal sanctions. The theories are alike, however, in the assumption that human beings are rational and self-interested beings who are affected by the consequences of their actions. 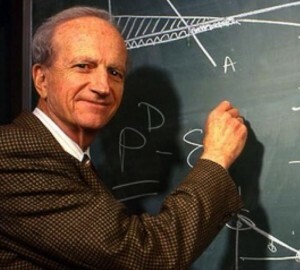 Rational choice theory (RCT) likely finds its modern home in an article written by the Nobel-Prize-winning economist Gary Becker (1968). The position of RCT is that criminal behavior is no different from noncriminal behavior in that it is conduct that persons intentionally choose to undertake (i.e., they are not compelled or forced to do crime), and the reason that they choose to commit crime is that they think it will be more rewarding and less costly for them than noncriminal behavior. Let us break this last statement down carefully. RCT takes the position that offenders are not compelled to commit crime because of some extraordinary motivation: Offenders do not have different personalities than nonoffenders; neither were they socialized into a criminal belief or cultural system whose norms require crime (Cornish & Clarke, 1986; Kubrin et al., 2009). In RCT, criminal offenders are actually no different than noncriminal offenders. Both willingly choose their own behaviors, and both choose those behaviors on the basis of a rational consideration of the costs and benefits of the intended action. The rational choice offender, then, is rational and self-interested and chooses to commit crime on the basis of his assessment that it will be rewarding or profitable or satisfy some need better than a noncriminal behavior. This last sentence contains a great deal of complexity and subtlety, so let us explore it in some detail.